This downloadable handout is recommended for high school students, elementary school students and adults at Beginner (pre-A1) level. 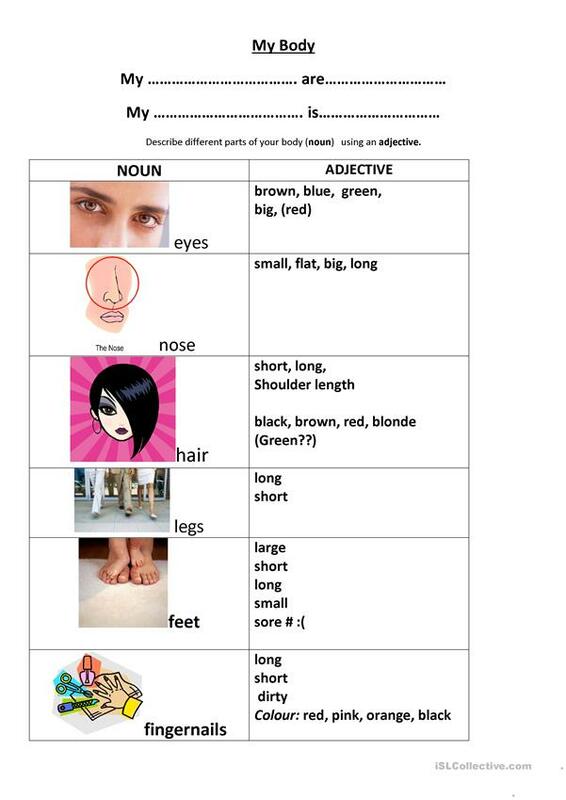 It is aimed at practising Adjectives in English, and is excellent for enhancing your groups' Speaking and Reading skills. It centers around the topic and words of Body. elizaval is from/lives in Australia and has been a member of iSLCollective since 2012-08-19 06:26:38. elizaval last logged in on 2016-06-09 12:12:35, and has shared 1 resources on iSLCollective so far.